At 74 minutes, his time was up and, with it, arguably the greatest performance by an individual for an English club in Europe. Mohamed Salah, two goals, three assists in a Champions League semi-final. The fourth official raised the board with his number, 11, on it, and Anfield stood as one. We have seen performances like this in Europe before, but usually against our clubs, and often by one man. You know the one. The little Argentinian, playing for Barcelona. This was up there, though. This was Lionel Messi-like in its unstoppable brilliance. It is hard to make the case for Kevin De Bruyne as Football of the Year now. Hard even to think of too many others across Europe or the global game. There is every chance this ends of a stage in Zurich, not London. Salah may well be the best there is, anywhere, right now. 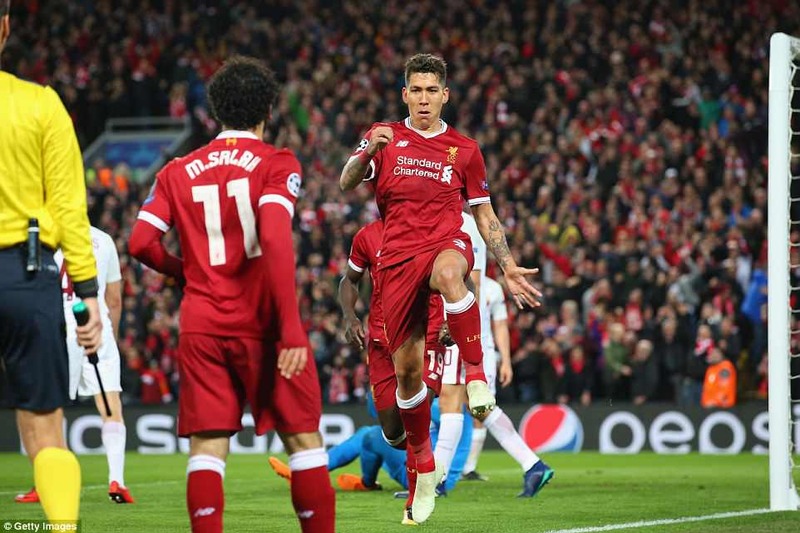 Mohamed Salah scored the opener after collecting a pass inside from Roberto Firmino. And Liverpool? Well, this was astonishing even by their standards in Europe.. Roma, we know, are last four opponents from left field. 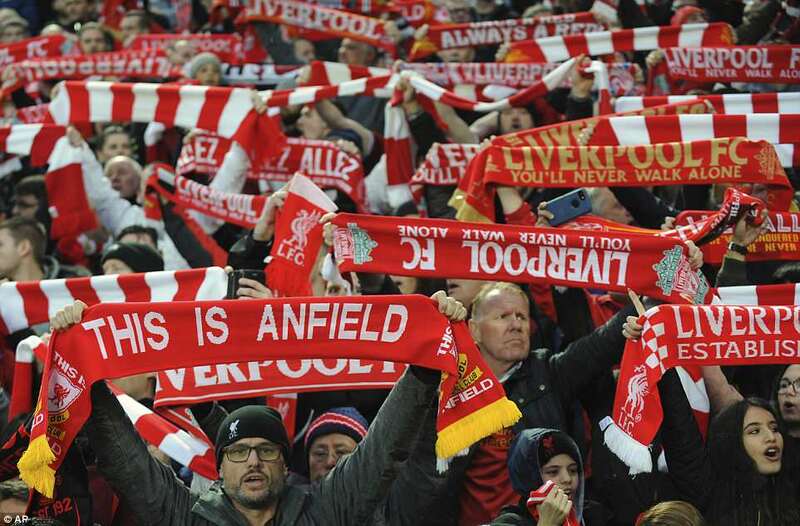 They are not European royalty, not even title contenders in Serie A. Liverpool avoided Bayern Munich and Real Madrid and will be thankful for that. Yet Munich and Madrid will be thankful too. Thankful they avoided the competition’s form team and most prolific scorers. Somehow, Liverpool have left the door slightly ajar by conceding two goals in the last ten minutes, but even so this was a brilliant win. To score five – five! 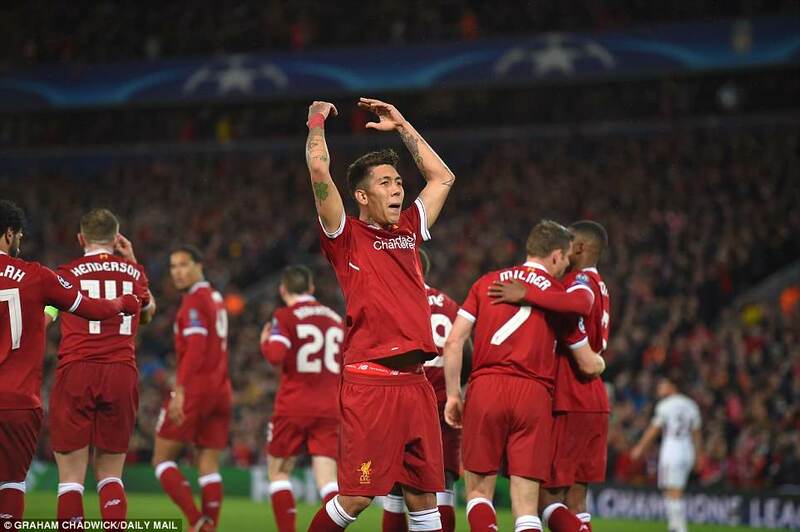 -at this stage in the tournament is remarkable, and when Roberto Firmino headed in a Salah corner after 69 minutes, it seemed the second leg would be a formality. 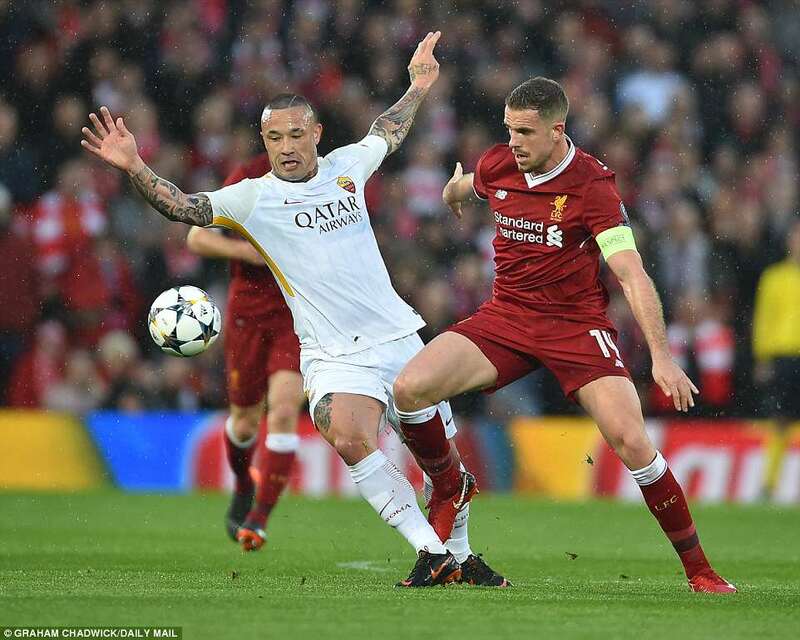 A late intervention from Edin Dzeko – and some poor defending from Dejan Lovren to aid it – and a tough handball decision against James Milner, the penalty converted by Diego Perotti, kept the tie alive – but only just. 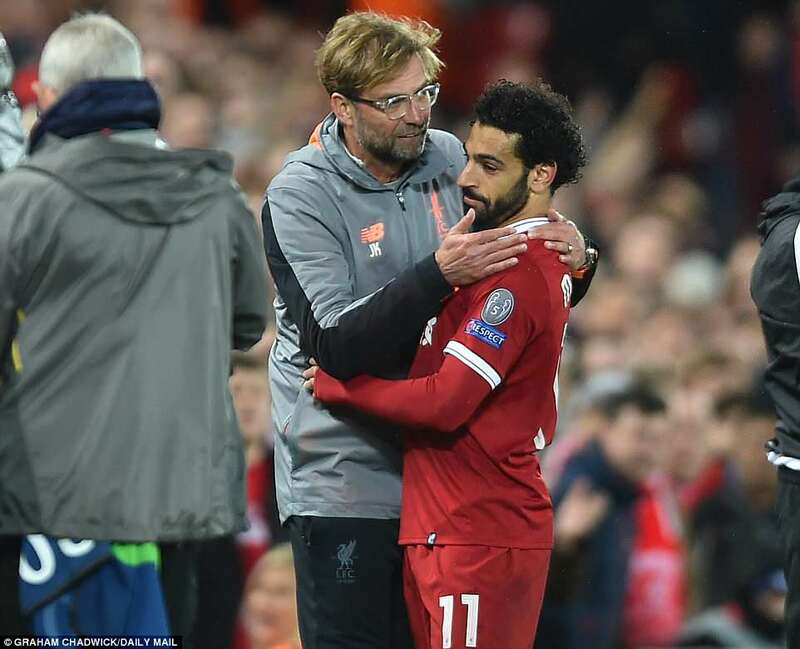 Liverpool look to be heading for their second European final of the Klopp era – and where Salah is heading seems to have no limit right now. 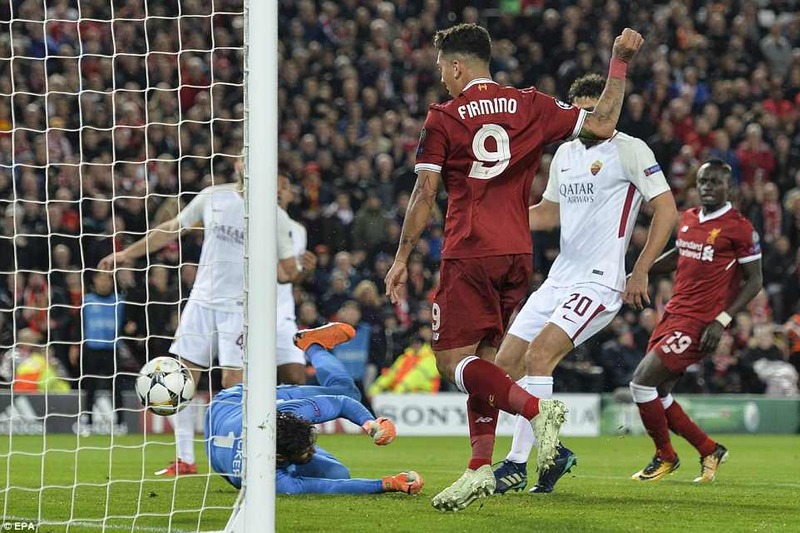 Liverpool score in torrents in Europe. It has been a quite incredible gift this season. 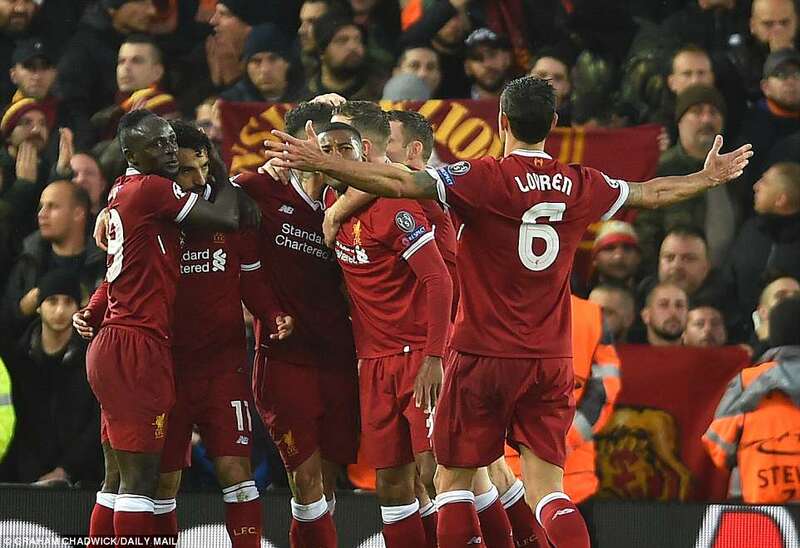 There comes a moment in a game when they surge, when energy courses through Jurgen Klopp’s team, when they become close to uncontainable. 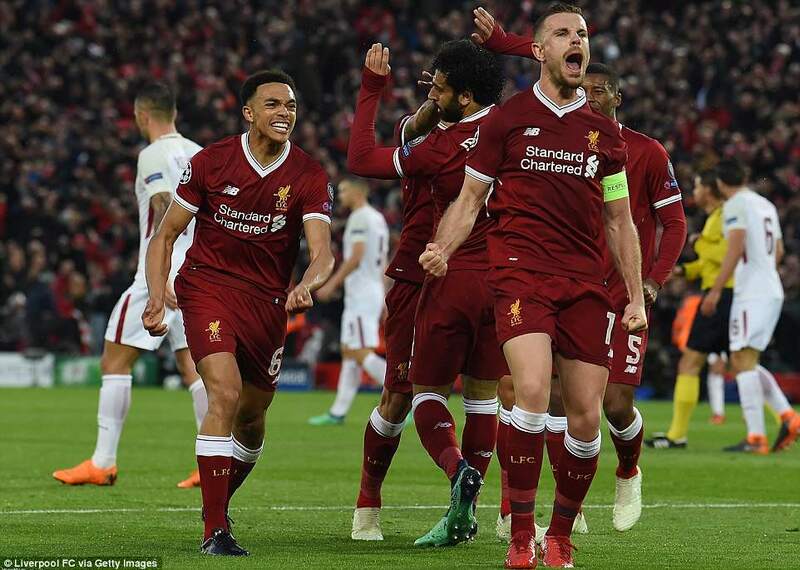 They win matches, sometimes entire ties, in this brief moments: three goals in 18 minutes against Hoffenheim, four in 35 against Maribor, three in 14 against Spartak Moscow, three in 28 against Porto and – most memorably – three in 19 against Manchester City. It was no different on Tuesday night. 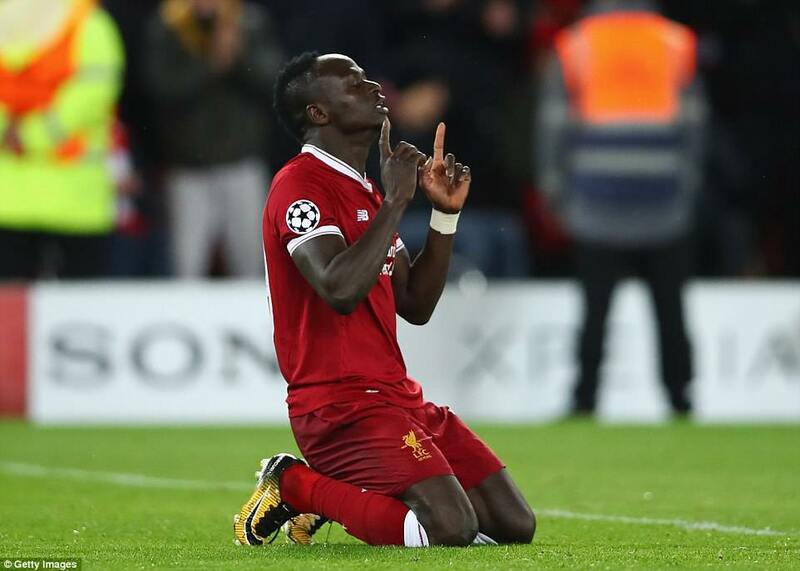 In the 28th minute, when a quiet wonderful bit of business from Roberto Firmino sent Sadio Mane through one on one, to the half-time whistle, by which time Liverpool were two goals to the good, Liverpool found a booster button. 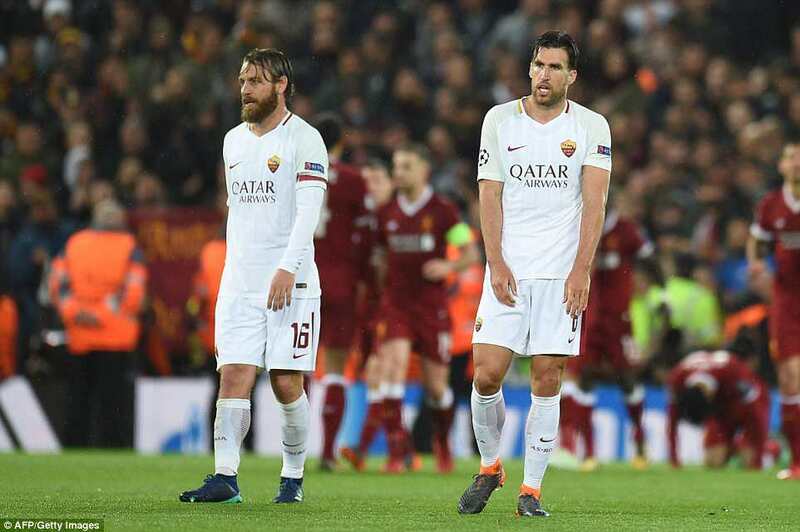 Roma had until then looked resilient, potentially problematic in a way City’s defence were not. In that 17 minute spell they appeared terrified. They could not handle the sheer ferocity of Liverpool’s attacking impetus, the speed, the will, the anger. That’s right. 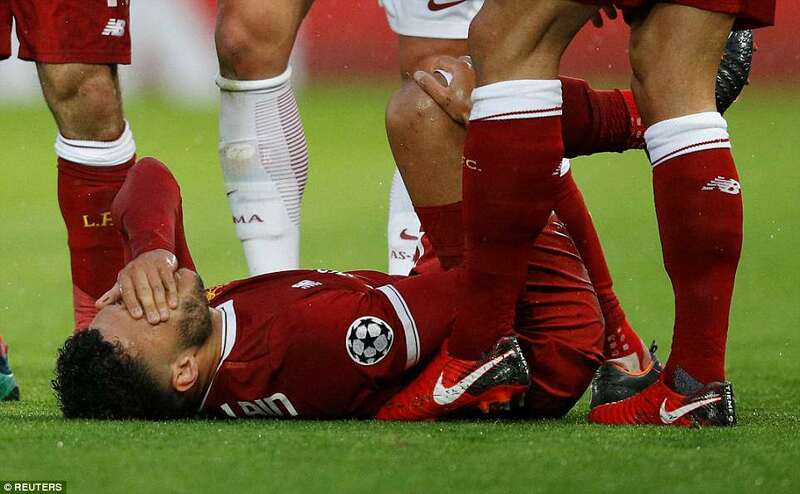 Liverpool get angry in these moments, like Popeye after the tin of spinach, or the Incredible Hulk bursting through his clothing. Don’t get them angry. You won’t like them when they are angry. Quite where this fury comes from is a mystery. 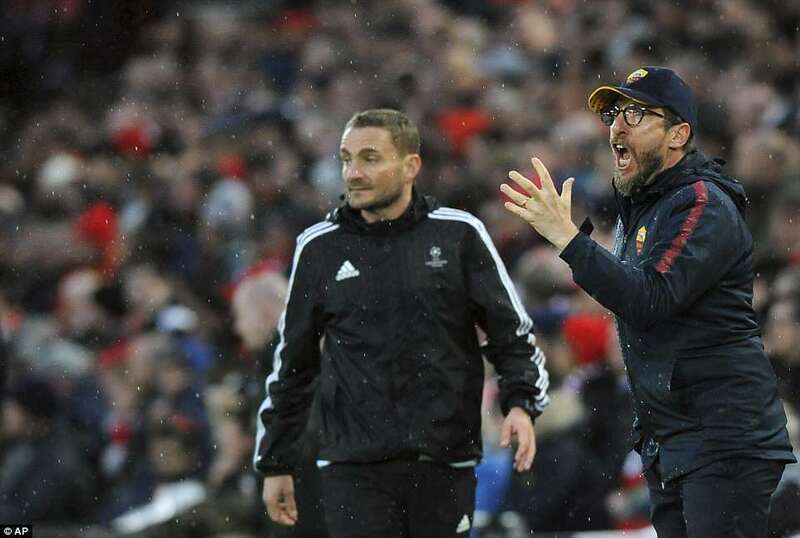 It is as if Klopp has a secret sign, or a code word, ordering his team to unleash hell. Maybe he does. Certainly when Liverpool have a good chance they seem to draw inspiration from it, whether successful or not. 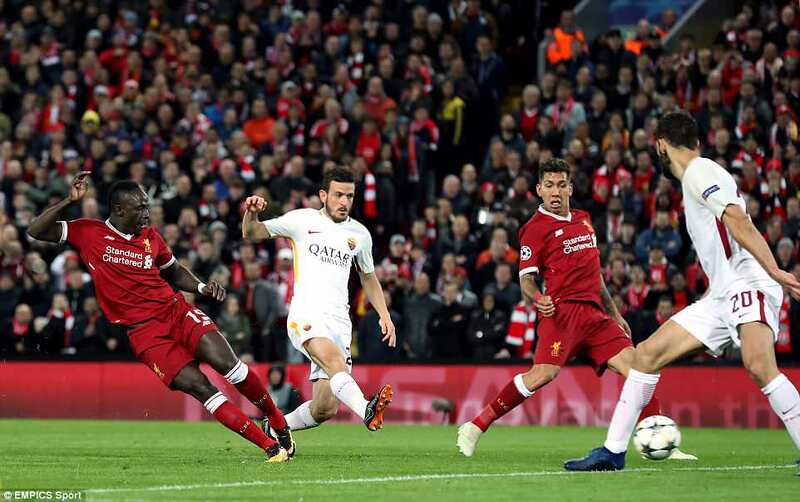 In Mane’s case, he missed an absolute sitter put through by Firmino, shooting over when most in Anfield were out of their seats poised to celebrate. 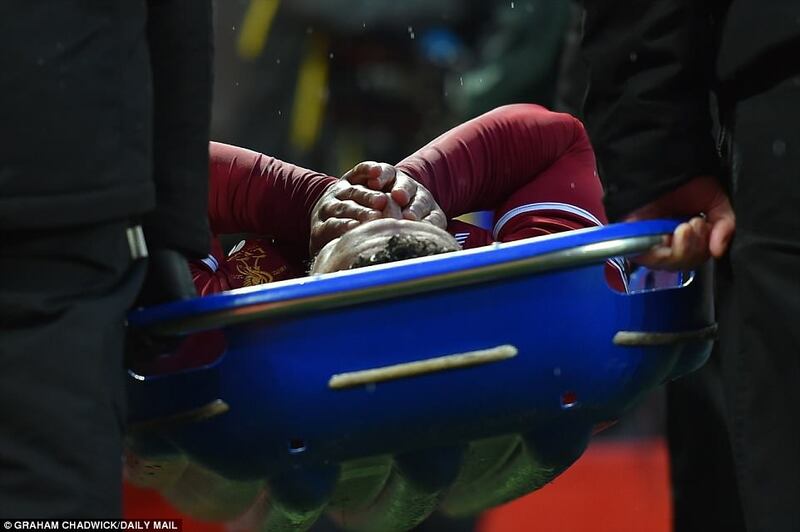 Yet, somehow, from what should have been a setback, Liverpool were enthused. 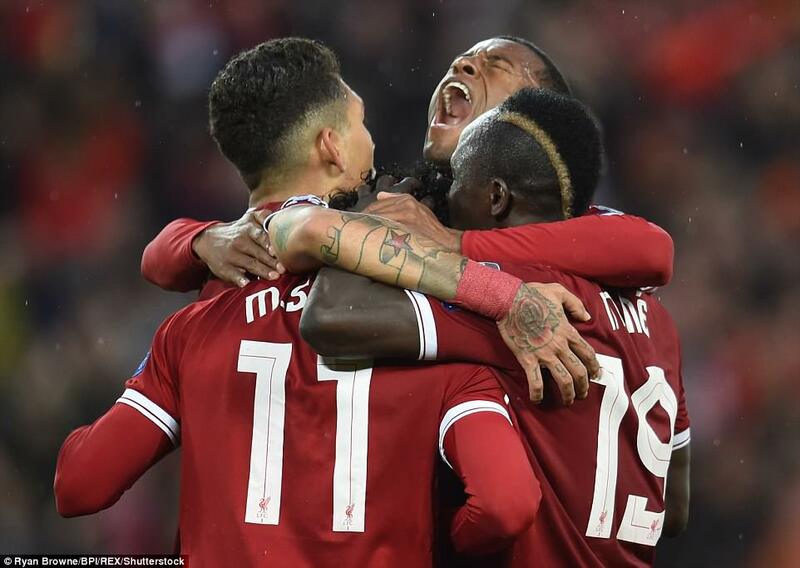 Confidence and desire coursed through them, so even when Mane shot over again, from another excellent Firmino pass, it became the cue for more sustained pressure, not despondency. 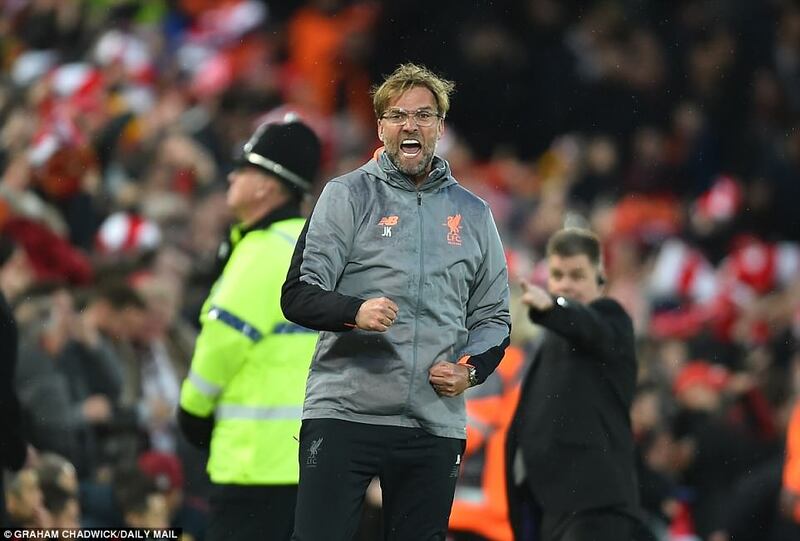 Klopp turned to the crowd and punched the air, as if encouraging them to keep the faith, and they did. Rightfully so, too. With each attack, Liverpool got closer to the breakthrough. 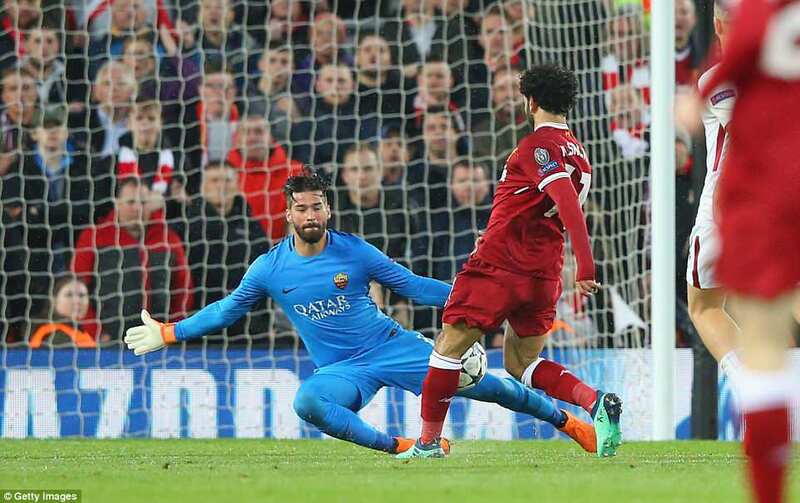 Mohamed Salah had a short from the right tipped out by goalkeeper Alisson Becker – supposedly a Liverpool target and with good reason – and finally in the 33rd minute the ball found its way over the line. 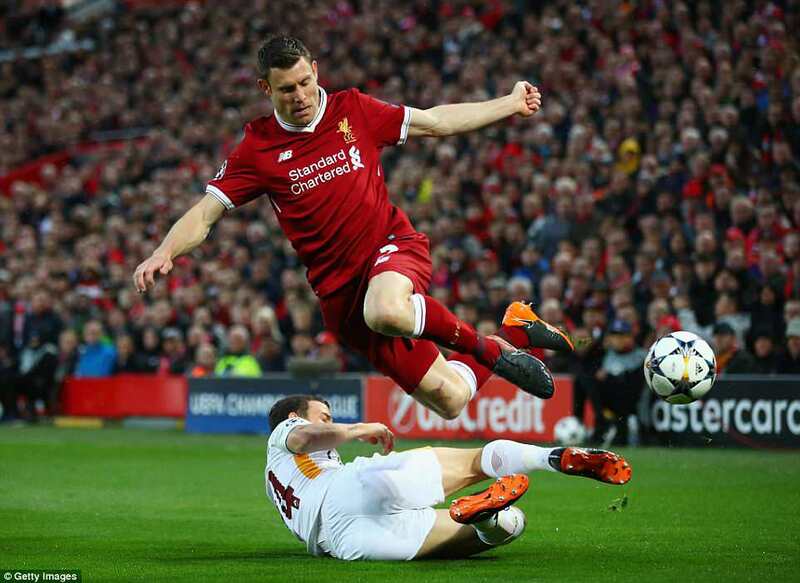 A lovely first-time cross from Andrew Robertson was finished by Mane, but the flag was quickly up. 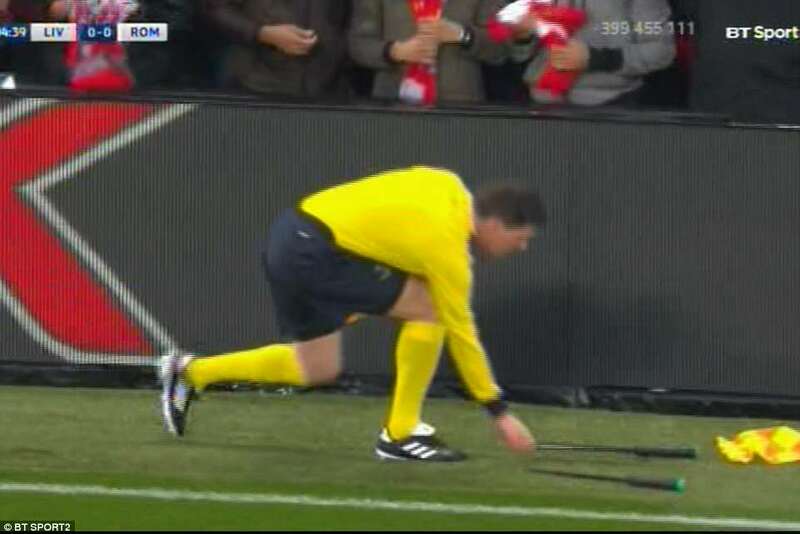 The linesman was correct, too. The horizontal lines on the pitch showed Mane to be in a light stripe, the defenders in dark. Yet it was coming. And, then, in the 36th minute, Roma could take no more. Salah, of course, the scorer, Firmino, naturally, the provider. He fed the ball to the newly crowned Player of the Year and his curled finish from the right was exquisite evidence of why he garnered so many professional votes. It was his ninth European goal this season. 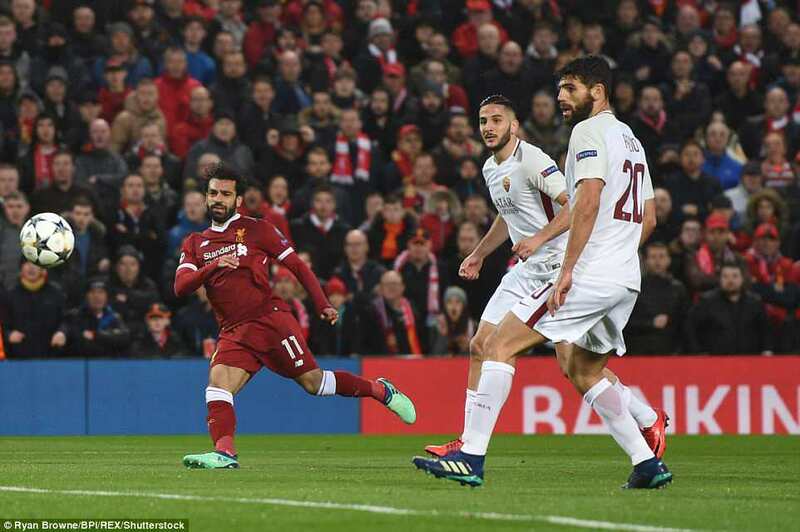 Just two minutes later, Liverpool could have added a second – Salah the provider this time, whipping in a corner from the right, met by Dejan Lovren, who header struck the bar. 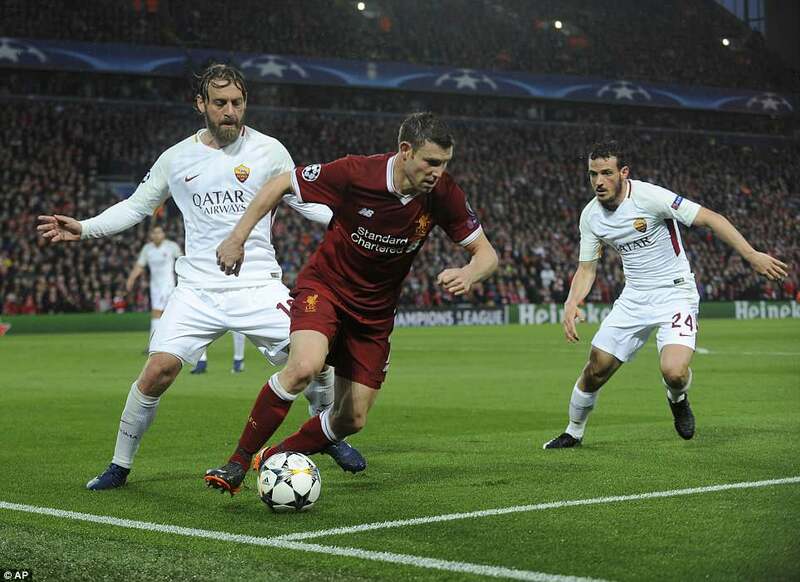 It was merely temporary respite for Roma, though, reeling like a boxer unable to spring off the ropes, they staggered towards the sanctuary of half-time, but not before Liverpool delivered another devastating blow. What a perfect goal this was. 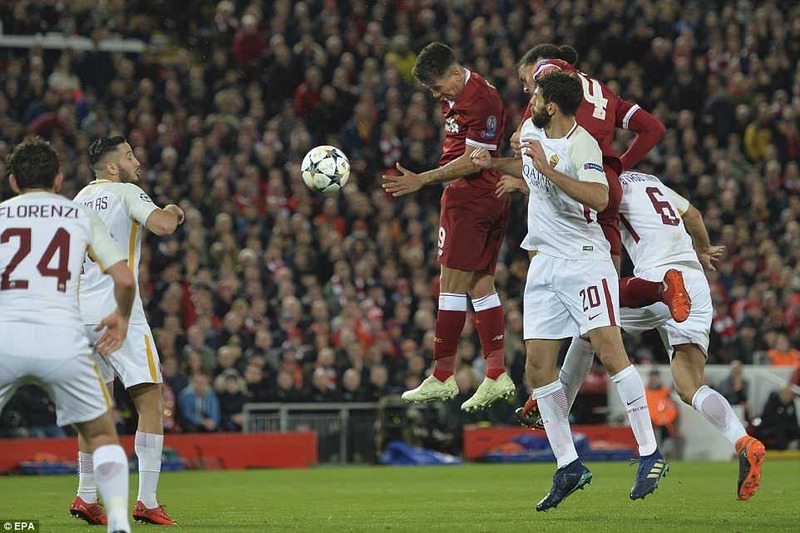 Firmino timing his pass to perfection, Salah’s finish a masterful Messi-like homage, neatly lifted over the Allison and into the net. It was so deft, it looked as if it might be caught on the line but, in reality, no chance. Salah does not make mistakes like that. Not this season. 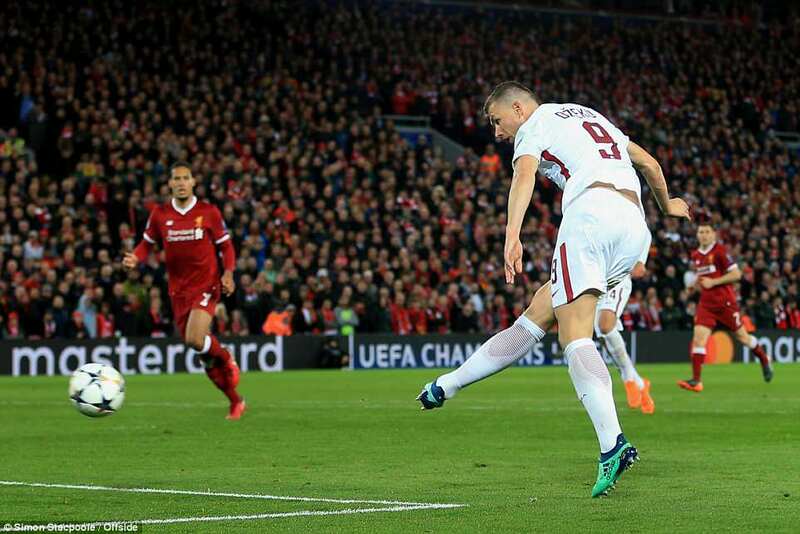 He became the first Liverpool player to score ten in a single European campaign. And they’ve had some damn fine campaigns, this club. 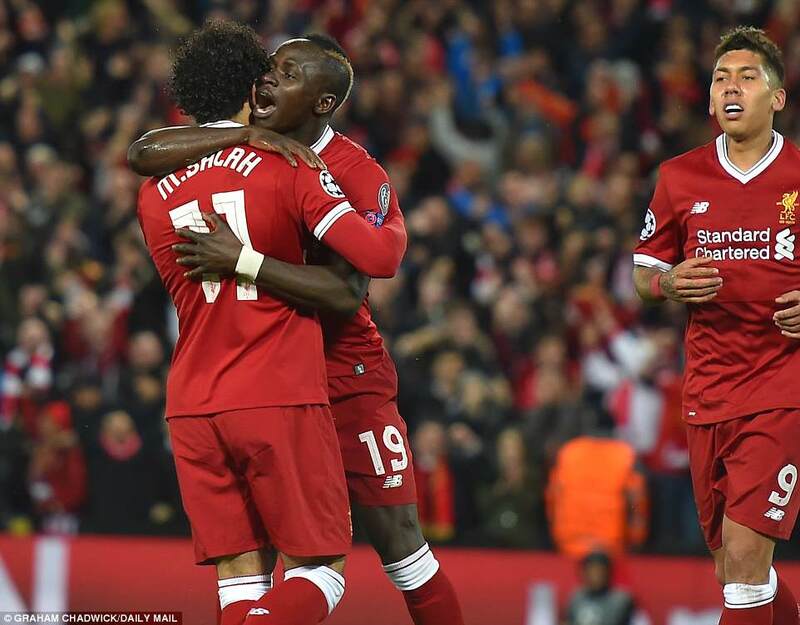 By now, Liverpool – and that three-pronged forward line in particular – were close to irresistible. Roma tried to regroup for the second-half, bringing on Patrik Schick for the underwhelming Cengiz Under, but this was getting away from them now. They had no answer to Salah, either as a finisher or architect. In the 55th minute, he sped down the right and slipped in a low cross that picked out Mane in a position from which he had to score. This time, he did, and the faces among the Roma contingent told their own story. 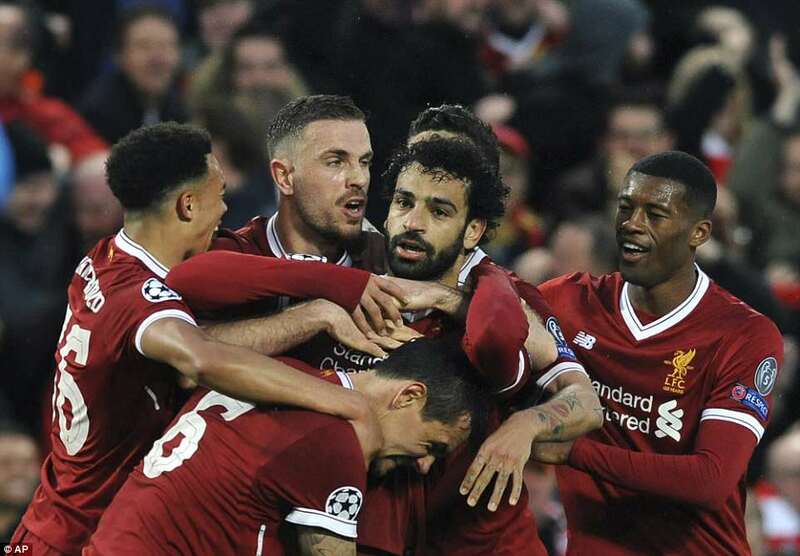 They had risen from the dead in their own stadium against Barcelona, but this Liverpool team were different. Barcelona rely so heavily on Lionel Messi these days that they are vulnerable in a way Liverpool simply are not. 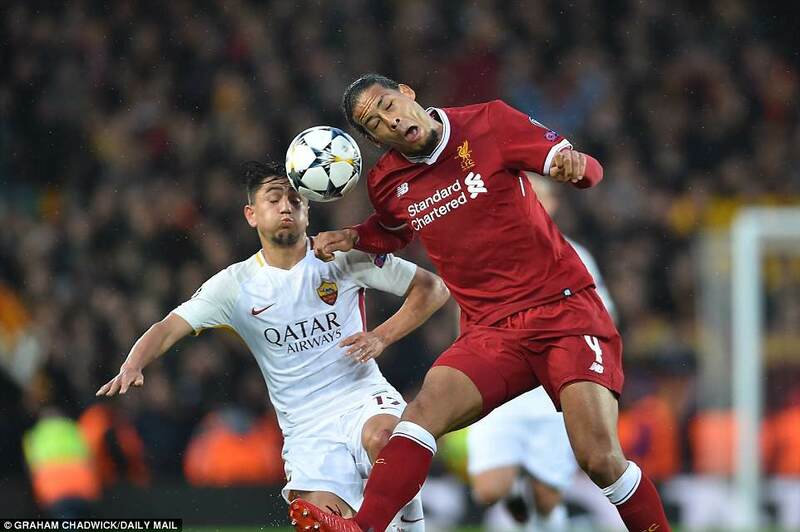 It is not just about Salah, but the whole package – the front three, the hard-pressing midfield, the revitalised defence, bolstered by the January addition of Virgil Van Dijk, now looking cheap at £75m. 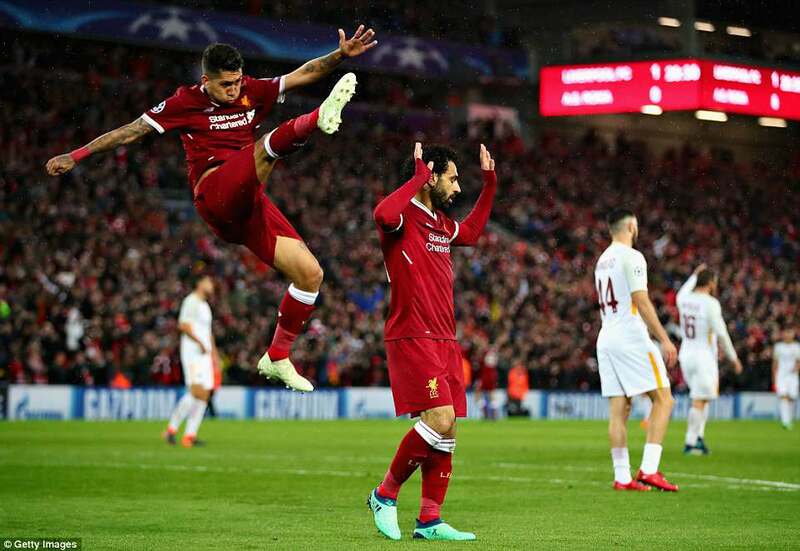 And they will need a bigger comeback than was required against Barcelona, too – because Liverpool scored four. The goal that has almost certainly put this tie away as a contest came after 61 minutes, Salah again, picking up on a neat click from Trent Alexander-Arnold and haring again down the right. 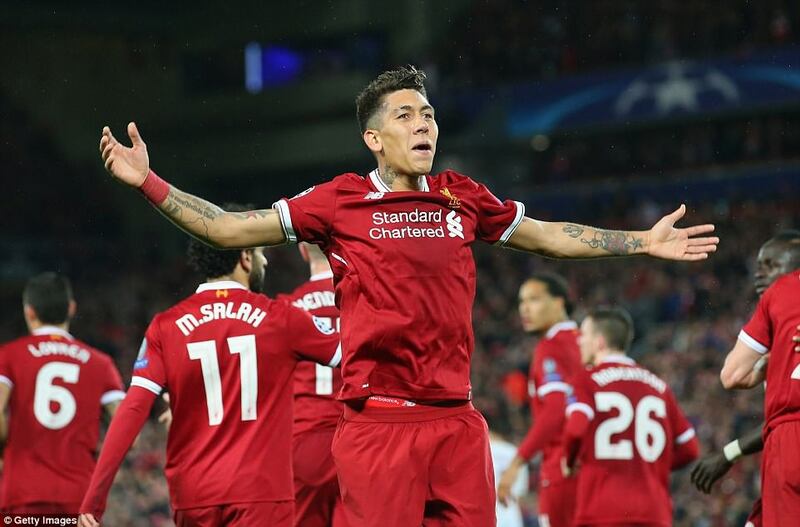 His cross was perfection, once more, picking out Firmino for the simplest tap-in, a crowning glory his tireless energy more than deserved.